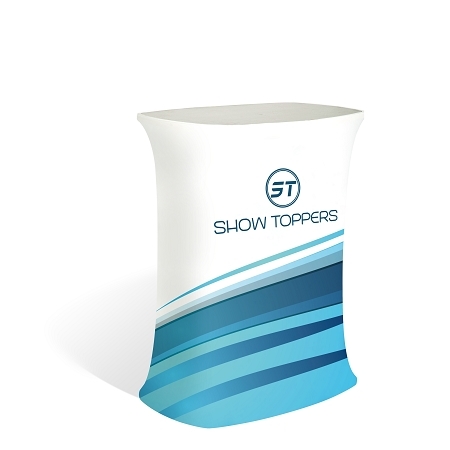 Whether you need a standalone upright display, a counter top, or something that attaches to a table, our full line of event booth displays will make sure to catch the eye of those nearby. 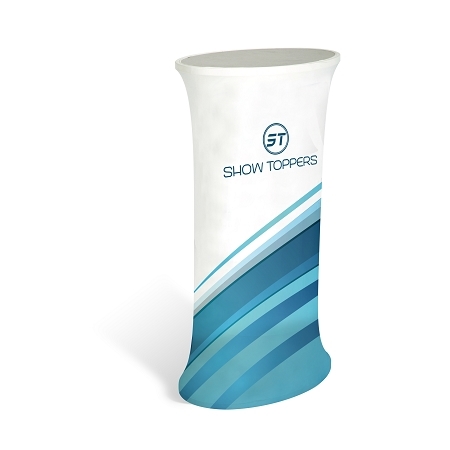 Add additional functionality with our tech display which holds a laptop or tablet - great for running promo videos or to access a website or signup form. 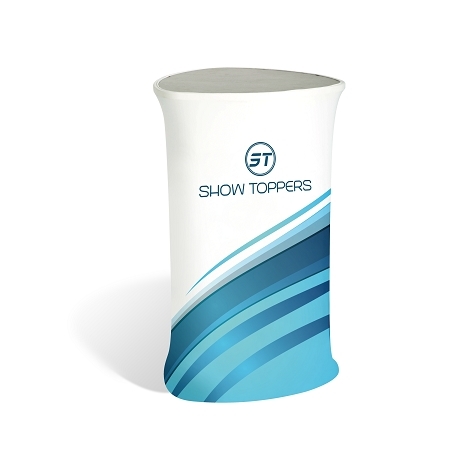 Available in a huge variety of shapes and sizes, our custom full-color sublimation printed fabric displays offer something for everyone. Browse the entire product line below, or filter your search to using the sub-categories to get a more targeted selection of options. 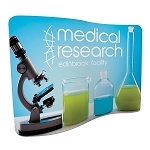 Order complete kits with frames, or replacement graphics to change out for different events. 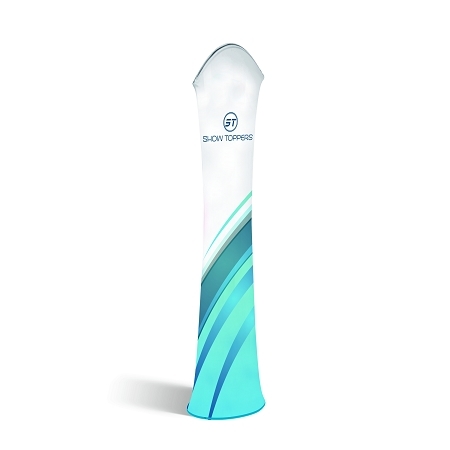 Fast pricing and ideas for your next marketing campaign. 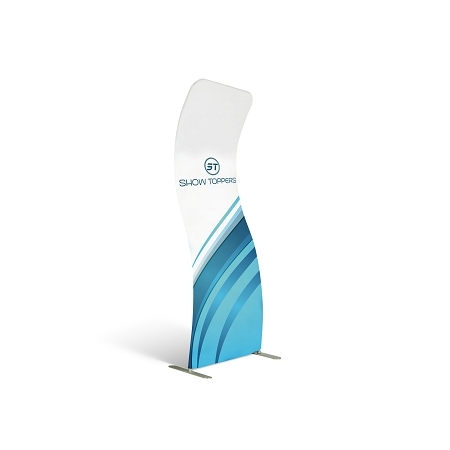 Wall Backdrop Display - 3 Shapes! 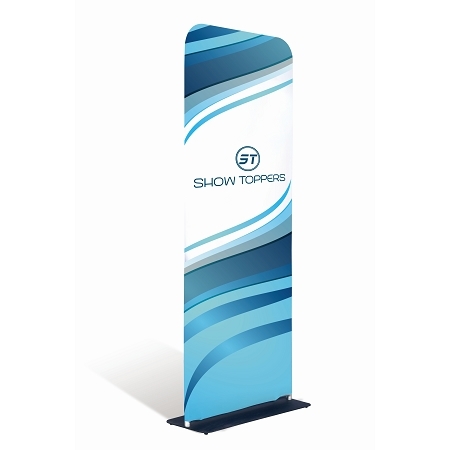 - 8 Ft.
Wall Backdrop Display - 3 Shapes! 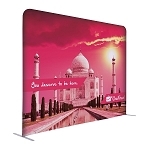 - 10 Ft.
Wall Backdrop Display - 3 Shapes! - 20 Ft. 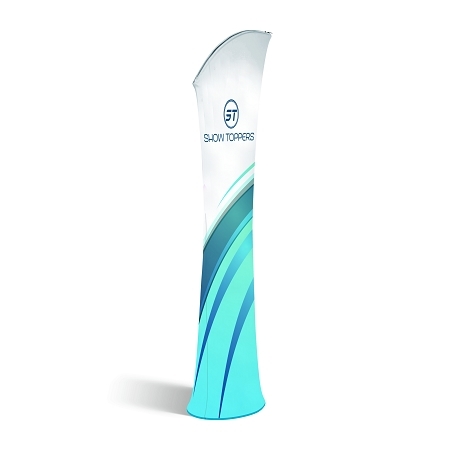 Replacement Graphics for Wall Backdrop Display - 8 Ft.